The individual traits are combined into three indexes. These are a Cow Advantage Score, Feeder Advantage Score, and Total Advantage Score. The correlation between Total Advantage and the Cow and Feeder indexes are about 70%, but the correlation between Cow Advantage and Feeder Advantage is about 50%. So, if in doubt about your breeding objective, use the Total Advantage Score. 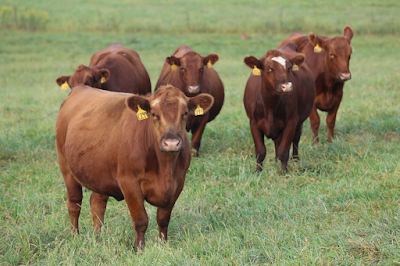 The Cow Advantage is 13% Cow Cost, 66% number of calves, and 21% weight of calves. Carcass Advantage is a combination of feedlot and carcass traits. Maximum genetic economic improvement is made by selecting on indexes. By selecting on GeneMax Total Advantage, we see about 0.5 standard deviation improvement in Calving Ease Direct. We see about 0.9 SD improvement in weaning weight, 0.4 for marbling, calving ease maternal abour 0.6 SD. 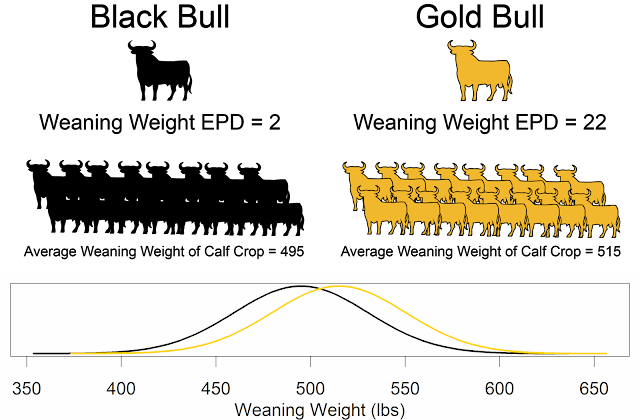 If we selected only on weaning weight, we would see unfavorable changes in mature weight, mature height, and decreased improvement for calving ease and other economically important traits. In Short's model, value of the test is measured over a 10 year period based on the performance of the cow's progeny, grand progeny, and great grand progeny. The heifers that you test and retain have to pay for the heifers that you test and cull. By 7 years, we see a net revenue of $300 per tested heifer. Break-even occurs between years 3 and 4. The value of the future generations is about 1.5X that of tested females. Keep in mind, investments in genetics is a long term investment! 146 heifers tested in SD herd. By index rank, the top 100 heifers averaged a 65 Total Advantage Score. A $39 test cost is approximately only $15 more than recommended health protocols to first calving for a first heifer. Also consider other value considerations. 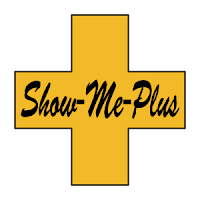 Value added marketing programs, the average of the heifers matches the average of the steers. Could use this information in marketing steers through TopDollar Angus or Reputation Feeder Cattle. 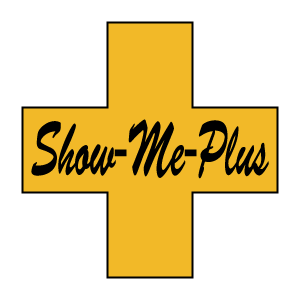 Also a great shout out to Missouri's Show-Me-Plus program! This tool is also a unique value to commercial producers because historically they do not have access to genetics predictions for commercial heifers. See bifconference.com for more information.